There is a certain magic to the art of baking bread. You start with a lump of dough and end up with a light, chewy loaf -- provided you followed the correct steps. A single-celled organism called yeast is what causes bread dough to rise. The fungus is dormant until it is exposed to heat and fed with sugar. As it feeds, the yeast releases carbon dioxide, which fills the dough with bubbles. 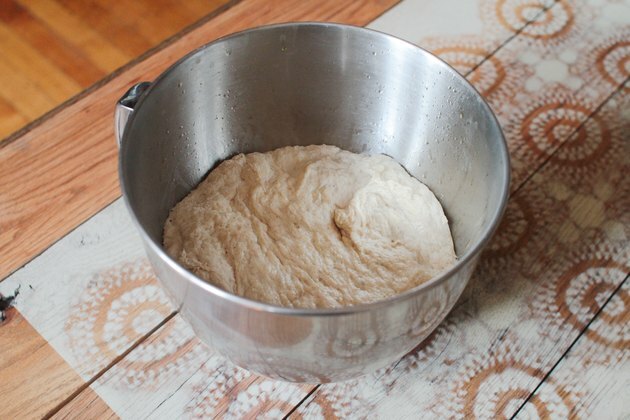 Yeast needs a warm, draft-free environment -- such as your oven -- to make bread rise properly. Prepare the dough according to the recipe instructions, then pop it in the oven and you'll be rewarded with a nicely puffed lump a few hours later. Grease a large glass or metal bowl with oil. 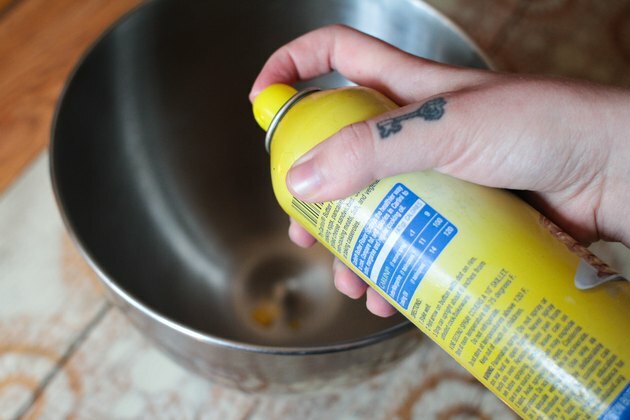 You can use a cooking spray or rub a tablespoon of oil around the inside of the bowl with a paper towel. Place the ball of dough inside the bowl. Brush the top of the dough with another teaspoon of oil. 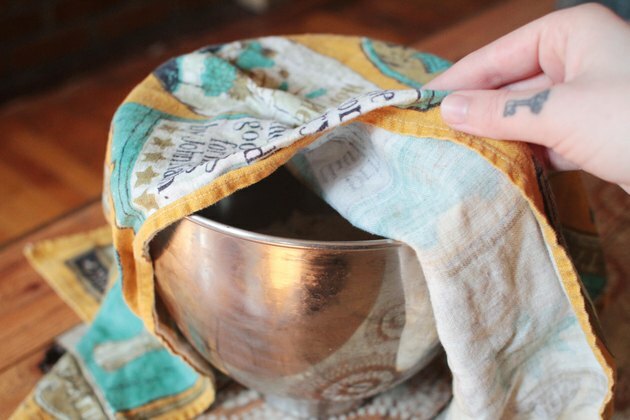 Cover the ball with a clean, dry dish cloth. Turn the oven on to its lowest setting for one to two minutes if you have an electric stove. Turn the oven off. Put a pan of very warm water at the back of the oven shelf to add humidity. Place the bowl inside of the oven and switch on the oven light if you are using an electric stove. 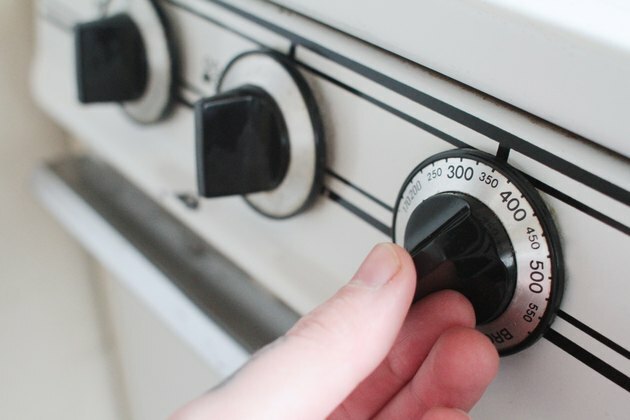 If you have a gas stove, the pilot light will provide sufficient heat, and there is no need to preheat the oven. Close the door. The ideal temperature for bread dough to rise is between 80 and 90 degrees Fahrenheit. Take the dough out of the oven once it has doubled in size. 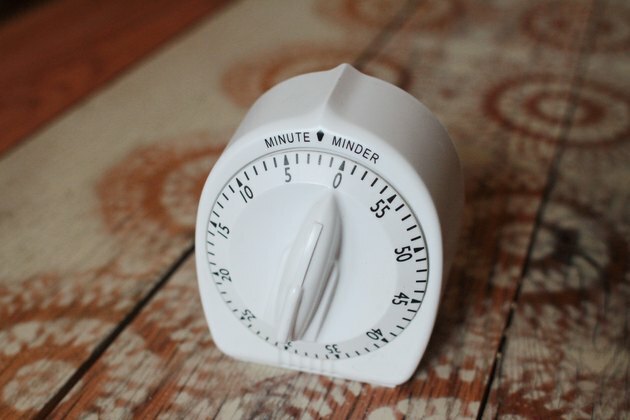 Depending on the recipe, the first rise will take one to two hours. Shape the dough into rolls or loaves and place them in the appropriate pans. Brush the tops with oil and cover with a clean cloth. Return the pans to the oven with the light or pilot light on until the loaves or rolls have almost reached their full-size. The second rise will take around an hour. Remove the rolls or loaves from the oven and take off the cloth. 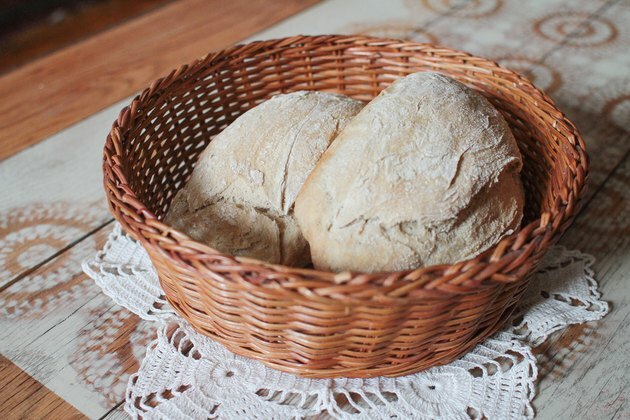 Preheat the oven and bake the bread according to the recipe instructions. The microwave is another warm, draft-free place you can put dough to rise. Heat a cup of water in the microwave for several minutes to add humidity. Place the cloth-covered dough in the microwave and close the door. Can You Bake Donuts Without a Donut Pan? 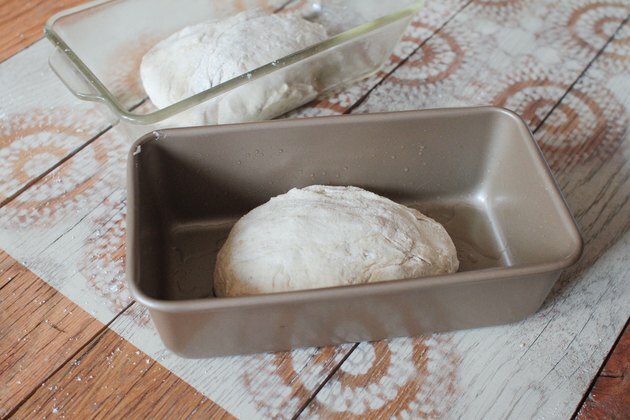 Can I Cook Bread Dough Right Out of the Fridge?